The sun-kissed city in southern Spain is not only the cradle of Tapas and Flamenco, but also a fertile breeding ground for fine Andalusian Reggae music. 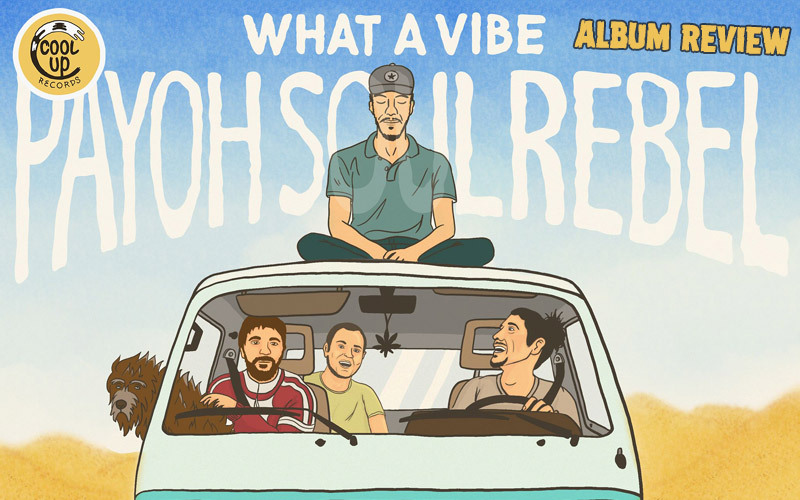 Cool Up Records, a young Sevillian record label consisting of Francisco Narbona (Alameda Sound) and Mario García (Legalize Sound), teamed up recently with versatile singer Payoh SoulRebel to produce his first ever album What A Vibe. Discovered by Alberto Tarín, a member of the New York Ska-Jazz Ensemble, the young man took his first musical steps in the Jazzin Reggae Band and soon conquered stages at festivals such as Rototom Sunsplash, La Concha Reggae and International Dub Gathering before deciding that the time is ripe to focus on recording. His debut's seven tracks (plus a Dub version by Curro Barroso aka Variedub) criss-cross through different moods and subjects, from the solitary trod of a Lone Ranger to the joys of watching the growth of a Ganja Tree in the garden of life. All songs convey a live-band feeling, especially Move Ya and the title track, which immediately transports me to the festival vibes of last summer. An amazing total of nine musicians contributed to the rich, unique sound of the release, including special instruments such as harmonica (Suso Díaz), clavinet (Diego Martínez), melodica (Mario García) and flute played by Alex Hazas, who is also responsible for the stunning brass arrangements. Presenting two Sevilla-based singers, the tracks Time To Refresh with Burian Fyah and Happiness featuring Tunelon Iration further acquaint us with Spain's vocal talent, a scene that I promise myself to dive deeper into during the next few weeks. What A Vibe is a sweet tribute to Jamaican music: Roots, Rocksteady and Digital are picked up and combined with a touch of the early vocal groups' splendour as well as elements of Country and European Reggae. And what this combination means to him, Payoh explains in the final track Sweet Music: "Music is the key of life, since the day I was born, it helps me to live and it cleans my soul. In this time of confusion, music is the answer that explains all."